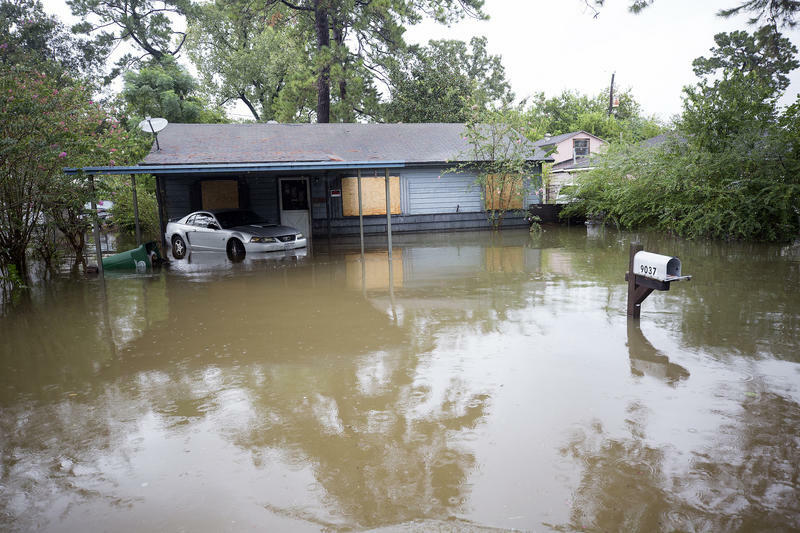 Many homes in Houston were flooded after Hurricane Harvey. Medical workers are looking out for post-traumatic stress symptoms in people whose homes were damaged or destroyed in the storm. Medical professionals are keeping an eye out for people having difficulty dealing with the trauma of losing their homes during Hurricane Harvey. 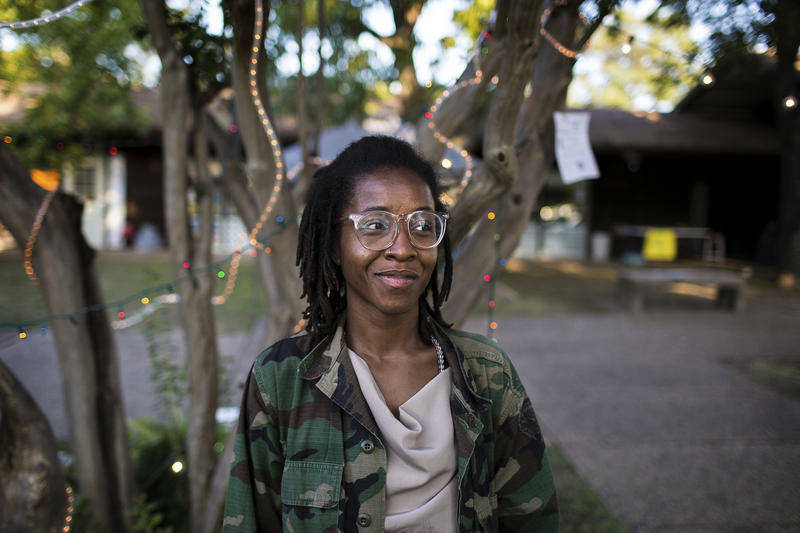 “In shelters, there is ongoing screening about mental health issues and a lot of awareness of mental health issues that's come out of experiences from the last 50 years or so,” says Cossy Hough, an assistant professor at the School of Social Work at UT Austin. When survivors first get help after a storm they are in "crisis mode," she says. They're in shock and likely not sleeping or eating well. "As time goes on," Hough says, "we expect the response to go from crisis to a little deeper in terms of response and trauma." Medical workers have learned to start looking for post-traumatic stress symptoms like anxiety, depression and ongoing difficulties with sleeping. Michael Gardner, an administrator with Harris Health System, says his group is looking out for those exact symptoms in people at shelters. “We have access to psychiatric and psychology services that help people through what is obviously – to say is stressful is almost trite," he says. "You know these people, many of them, have lost everything." Gardner says Harris Health System, which is running a 24-7 clinic for evacuees, plans to provide care long after people have left the shelters. Just talking about the trauma with evacuees can be therapeutic, Hough says. Reminding families who have lost a lot "that it is normal and expected to feel a lot of stress and anxiety … can be really helpful,” she says. A Harvey evacuee at the Delco Center was getting treated for a wound on her head last week when workers discovered she was diabetic. When big storms hit, familiar relief organizations like the Red Cross step in to help people in need. 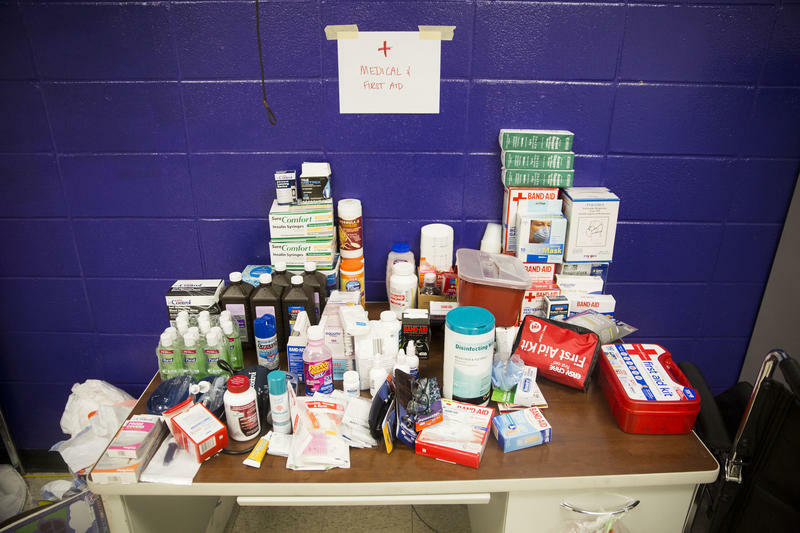 But there’s one local group trying to break the mold when it comes to relief. 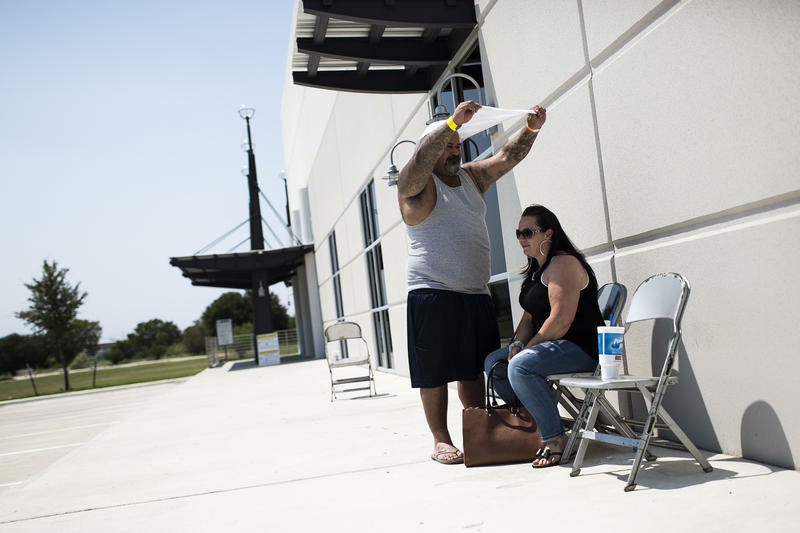 'We're Staying Here,' Harvey Evacuees In Austin Say. But Can They Afford To? Wendy Rivera sat on a metal folding chair outside the shelter for Harvey evacuees in Southeast Austin. She shared a 44-ounce convenience store soda with her husband, Ramiro, a soft-spoken and tattooed man, who used his body and a white towel to shade the two from the sun.